Home Hotels, Resorts & Cruise Lines Arabian Courtyard Hotel & Spa Experience a new Arabian Courtyard Hotel & Spa! Experience a new Arabian Courtyard Hotel & Spa! Dubai, UAE: Arabian Courtyard Hotel & Spa, located in the heart of the cultural district and diplomatic enclosure of Bur Dubai, is proud to announce the completion of its two executive floors with a VIP Lounge and Executive Boardroom featuring a new concept. The newly renovated Executive Floors on 7th and 8th floors comprising of 48 rooms with en-suite bathroom, maintain traditional Arabic influence with rich interiors creating an authentic feel of culture yet featuring all modern necessity of 21st century. While the 34 M2 spacious rooms blends with the local culture, bathroom stands out as sparkling and contemporary style, fitted with rain shower, bath, magnifying mirror and organic Heritage Collection amenities and toiletries. Guests staying at Executive Floors enjoy the benefits with free access to hotel’s VIP Lounge and can avail all its features! The VIP Lounge located at 7th floor offers exclusive services to all guests residing on executive floors. With a cozy ambiance, the VIP Lounge has become a favorite meeting and networking area for executives on business trips. Guests can take advantage of the highly functional Executive Boardroom designed to offer private and business meetings accommodating up to 10 persons at a nominal charge. 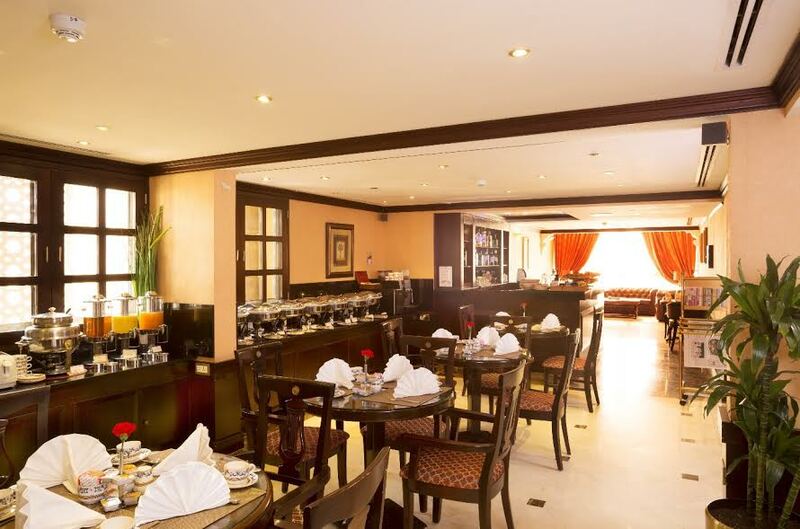 Daily buffet breakfast and complimentary tea, coffee and refreshments are served throughout the day.